Sometimes the difference does count. Louis Royer was more than just a skilled cellar master. And it didn’t take him long to realize he would be much better off running his own business, rather than working for other Cognac houses. The year was 1853, when Louis set up the house of Cognac in the town of Jarnac, which overlooks the Charente River. Working with all 6 of the appellation areas, the rise of his empire was bound to happen using the skills he acquired as a cellar master. Today the fifth generation of the family runs the business and it remains just as Louis had imagined it; bringing different appellations to people from everywhere and showing them a different kind of Cognac. This particular Cognac comes from the distillery Chantal and represents the Bons Bois area. The soil of Bons Bois cru is not rich in limestone, and has its vines dispersed throughout the area, sometimes even mixed with other crops. 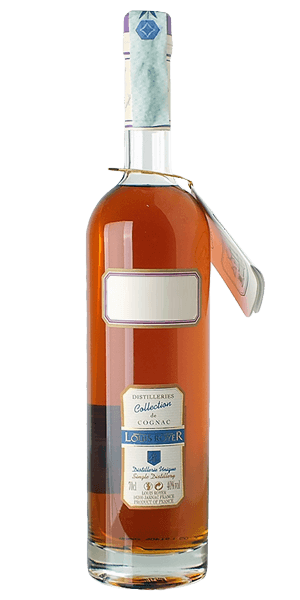 Louis Royer Distillerie Chantal Bons Bois Cognac comes from the Western part of Bons Bois cru and its vineyards benefit from a very gentle climate making this Cognac not a weaker, but a more diverse opponent. And it’s all about diversity, sometimes. What does Louis Royer Distillerie Chantal Bons Bois Cognac taste like? The Flavor Spiral™ shows the most common flavors that you'll taste in Louis Royer Distillerie Chantal Bons Bois Cognac and gives you a chance to have a taste of it before actually tasting it. Killing me softly, this one delivers spices like cinnamon, toffee and vanilla but in a more soft manner. Fruity, soft and fresh on the palate with an overall sweetness to it. Quite long and raw finish that is more than catchy. Makes us wonder why Bons Bois was ever underappreciated! Floral, Vanilla, Rich, Grapes, Delicate, Cinnnamon, Toffee, Fruity.